SIZE:	2.7m x 1.5m COLOUR:	Black WEIGHT:	190g (excl. 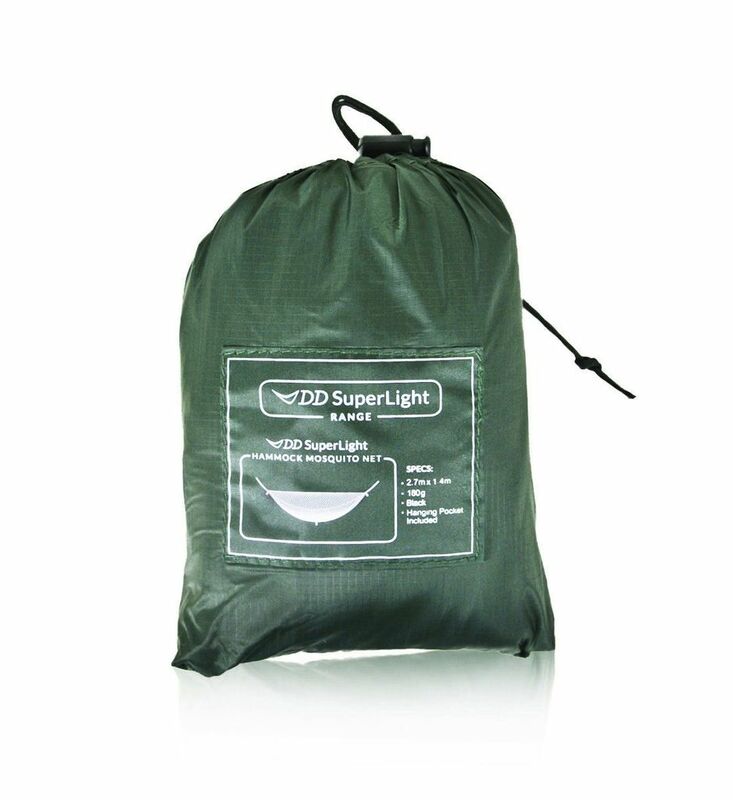 Pocket) INCLUDES:	1 x Hanging Pocket, Stuff Sack PACK SIZE:	14cm x 10cm x 7cm The DD Superlight Hammock Mosquito Net is part of our DD Superlight Range and fits onto the DD Superlight Hammock making it insect proof. 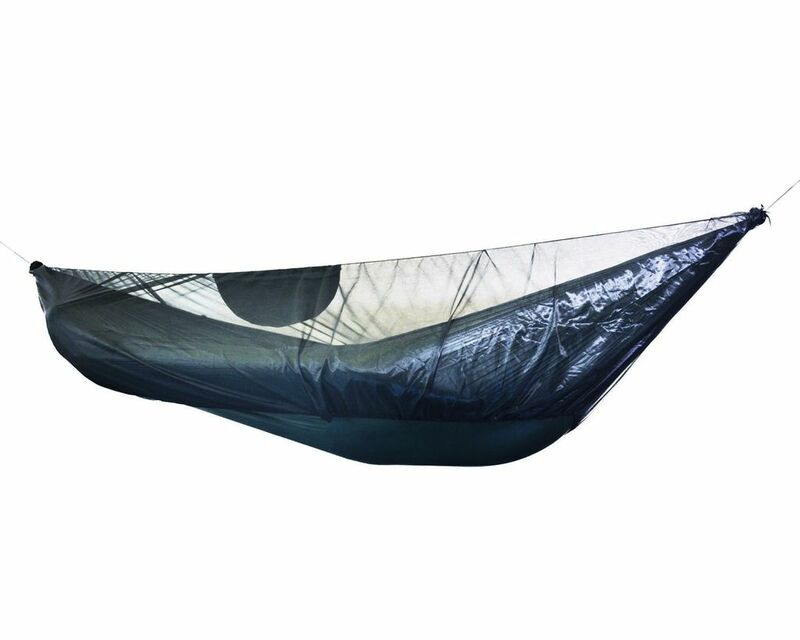 Designed by Dan Spence and Nico Piercy, the DD SuperLight Hammock Mosquito Net doesn't feature any zips which cuts right down on the weight and instead uses adjustable elastic and your body weight once inside your hammock to hug the hammock closely and prevent insects from entering. You can take it with you when needed and leave it behind when not required (winter camping etc)! Takes just 2 minutes to add it to your hammock set-up (if not attached at all). And if left at one end of your hammock it can be deployed in seconds when needed. A hanging pocket on thin rope is also included. This rope should be tied to your hammock suspension and passed through the mosquito net - it will keep the mosquito net up above you and create some room. The hanging pocket has three sections for storing glasses/ phones/ other small items above you. It can be left behind if you wish to save a few extra grams!